Amy Imburgia filed a class action lawsuit against DIRECTV, Inc. (DIRECTV), claiming it had improperly charged early termination fees to its customers. In 2011, the U.S. Supreme Court decided AT&T Mobility LLC v. Concepcion, in which the Court held that the Federal Arbitration Act (Act) preempted California precedent that had previously held that, in certain circumstances, arbitration clauses in customer agreements were unenforceable. Less than one month after that decision, DIRECTV moved to stay or dismiss the case and compel arbitration in Amy’s case under the Act.The California Court of Appeal refused to enforce the arbitration provision by holding that the language of the customer agreement subjected the arbitration clause to California law. DIRECTV appealed the case to the United States Supreme Court. In the days leading up to Christmas the High Court found that the refusal to enforce the arbitration provision was preempted by the Federal Arbitration Act. Specifically, in DIRECTV v. Imburgia it concluded that California law “does not give due regard…to the federal policy favoring arbitration.” The High Court ordered the California Court to enforce the arbitration agreement on remand. The decision also impacts employment arbitration agreements based upon the 2014, 11th Circuit Court of Appeals decision of Walthour v. Chipio Windshield Repair LLC. In that case Walthour filed a collective action claiming that Chipio had failed to pay minimum wage and overtime, in violation of the Fair Labor Standards Act (FLSA). After the Federal Court suit in Georgia was filed, Chipio moved to compel arbitration under the Federal Arbitration Act, citing the mandatory arbitration agreements Walthour had signed shortly after being hired. The District Court Judge compelled arbitration. His agreement stipulated that all employment disputes were to be resolved exclusively through individual arbitration, including class action rights. The 11th Circuit affirmed and the High Court refused to overturn the case. Common Sense Counsel: The Imburgia case is truly a Christmas gift to employers who wish to engage in employment claims related risk reduction. Such an arbitration program can trump EEOC lawsuits, FLSA wage suits, retaliatory discharge claims - you name your worst employment nightmare. 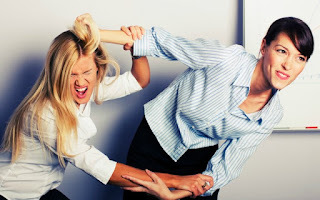 In light of this Supreme Court case law favoring alternatives to court litigation, consider options for designing an employee dispute resolution program and the potential business advantages - not the least of which is not having to spend a sunny day locked in a windowless room with a plaintiff’s attorney with an attitude. Plaintiff’s attorneys hate these programs for obvious reasons. 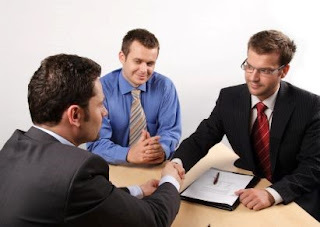 The best programs have the following components: 1) an internal complaint process with a promise of no retaliation; 2) a toll free hot line for multiple location employers; 3) handbook provisions giving employee two channels to make their complaint and fair investigation process; 4) well drafted and broadly worded arbitration provision, covering class claims, that will pass court scrutiny; 5) training for all employees on the process; 6) private arbitration panel of former local judges, or AAA Arbitration, and mostly importantly; 7) a Human Resource professional with a listening ear and risk reduction mindset. The Federal Motor Carrier Safety Administration (FMCSA) on December 22, 2015 announced that it will lower the random testing rate for controlled substances from the current 50 percent to 25 percent for the upcoming calendar year, effective January 1, 2016. FMCSA conducts a random survey to ensure compliance with the set testing rates, known as the Management Information System (MIS) or MIS survey. According to federal regulations, when the data received in the MIS for two consecutive calendar years indicate that the positive rate for controlled substances is less than one percent, the FMCSA Administrator has the discretion to lower the minimum annual testing rate. While the MIS survey resulted in a positive rate of less than one percent for the 2011 and 2012 testing years, the Acting Administrator chose to maintain the 50 percent rate for another year. The 2013 testing year also showed a positive rate of less than one percent, so after three years, the Acting Administrator approved a lower testing rate. If at any time the positive rate for controlled substances exceeds one percent, the testing rate will revert back to 50 percent. For a copy of the announcement, click here. To verify the current random testing rates of FMCSA and other agencies within the Department of Transportation, click here. Stanley Beaty, an African-American, was employed by Hillshire Brands at its Paris, Texas plant when he complained of racial harassment. He claimed in this federal court complaint that he and other black employees were subjected to racial slurs from supervisors and co-workers, including frequent use of the “N” word and “boy” when speaking to and/or about African-American employees. Beaty said he also complained of racist graffiti written on the bathroom walls at the plant. According to the EEOC lawsuit, several other employees complained to management about the on-going racially offensive graffiti, but plant management failed to take prompt and effective remedial measures to prevent and correct the discriminatory conduct. Hillshire brands, formerly known as Sara Lee Corporation, was accused by the EEOC of permitting such discriminatory practices from August 2001 through November 2011 when the plant in Paris closed. Rather than go to trial against the 74 workers witnesses, Hillshire Brands agreed on Friday to a consent decree to pay $4 million to settle claims of 74 workers at the now closed plant that the company subjected a class of black employees to a racially hostile work environment. This was the largest settlement ever for the U.S. Equal Employment Opportunity Commission's Dallas office. The consent decree requires Hillshire to implement anti-racism training and provide a way for employees to confidentiality report instances of harassment, discrimination, and retaliation, as well as a point-of-contact for those who feel they have been treated improperly. Hillshire is also required to punish workers with suspensions and even termination who are found "by reasonable evidence" to have engaged in racial bias or behavior related to it. Common Sense Counsel: Race Discrimination is one of the EEOC Litigation Hot Buttons for 2016. No worker, regardless of race, gender, or other discriminatory factors, should ever have to endure harassment in order to earn a paycheck. As this case proves, the EEOC continues in its full press litigation mode. Harassment claims, racial and otherwise, are by far the most costly and destructive to the fabric of any business. The 2016 policy upgrade, training, and internal investigations listed in this consent decree are exactly what every Alabama employer should do before they become a story headline. What effect are liberalized marijuana laws having on employer drug policies? Maybe not as much as you’d think. • Of 224 employers who have operations in jurisdictions that have legalized some form of marijuana use as well as jurisdictions where marijuana is still illegal, 94 percent said that they used the same policy at all locations. • Of the 175 employers in states that have legal marijuana for medical purposes only (“medical-only”), 80 percent said they had not changed their policies since the laws changed. • Of the 407 employers in states that have legalized recreational as well as medical marijuana use (“medical-recreational), 69 percent said they had not changed their policies in response to changes in the law. • Regarding exceptions to their no-drug policies for marijuana use, 73 percent of 166 employers in “medical-only” states reported that they are continuing to ban all use of marijuana. Only 22 percent made exceptions for medical use. In “medical-recreational” jurisdictions, 82 percent of 397 employers reported that they continue to ban all use of marijuana, and 11 percent made exceptions for medical reasons. • Regarding whether employers intended to change their drug policies in light of legalization of marijuana, 69 percent of 117 employers in “medical-only” states said that they had no plans to change. Twenty-one percent intended to make clarifications. Five percent planned to make their policies more restrictive, and five percent planned to make their policies “more accommodating.” In “medical-recreational” jurisdictions, 83 percent reported that they planned no changes, 15 percent said that they planned to “clarify,” 2 percent said that they planned to become more restrictive, and 1 percent said that they planned to be more accommodating. 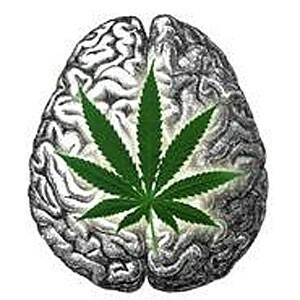 The survey consisted of random samplings of Human Resources professionals in jurisdictions that (1) legalized medical marijuana but not recreational, and (2) legalized both medical and recreational use of marijuana. “Medical-only” states: Arizona, California, Connecticut, Delaware, Hawaii, Illinois, Louisiana, Maine, Maryland, Massachusetts, Michigan, Minnesota, Montana, Nevada, New Hampshire, New Jersey, New Mexico, New York, Rhode Island, and Vermont. “Medical-recreational” jurisdictions: Alaska, Colorado, Oregon, Washington, and the District of Columbia. Tommy Eden is a partner working out of the Constangy, Smith & Prophete, LLP offices in Opelika, AL and West Point, GA and a member of the ABA Section of Labor and Employment Law and serves on the Board of Directors for the East Alabama SHRM Chapter. I wish to thank my partner Robin Shea in our Winston-Salem, NC for her help with this column. Tommy can be contacted at teden@constangy.com or 334-246-2901. Blog at www.alabamaatwork.com with hyperlinks study. What impact does one highly toxic employee have on your workplace? A toxic employee is one who engages in behavior that is harmful to your workplace. On the mild side costs include: lost customers, lower employee morale, and higher turnover. On the high side are fatal workplace shootings. Toxic workers can also include those who harass others, engage in fraud, falsify documents, commit employer theft, commit workplace violence and engage in general workplace misconduct. Even more frightening is when their toxicity spills over and infects other workers. According to a November 2015 article in the Harvard Business Review, where approximately 50,000 workers across 11 firms were surveyed, toxic workers were found to be so damaging to the workplace environment that avoiding them could increase work performance and provide more benefits than finding and retaining a superstar worker. The authors found that workers in the top 1% of work productivity resulted in $5303 of additional revenue, while avoiding toxic workers could save an estimated $12,489 in reduced turnover, regulatory penalties, and potential litigation fees. They determined that the two top characteristics exhibited by toxic workers were excessive overconfidence, overestimating one's own abilities, and being a workplace bully. The study found that the degree of “caring for others” was predictive of the choices one makes that affect others. Specifically, those who showed little concern for others’ interest were found less likely to refrain from damaging others and their property, and thus to engage in toxic workplace behavior. Those people were classified as self-regarding. There was also found to be a correlation with increased on-the-job hazard rates and those who over-reported their skill level before they start the job. Greater overconfidence also typically resulted in a greater chance of being terminated for being a toxic worker. Of course, some toxic employees are highly productive which is the reason they avoid termination in spite of their toxicity. Also, it was found that toxic workers seemed to induce others to be toxic, and consequently less productive on the job. While some workers were found to have pre-existing traits that predicted they would be toxic workers, it was also found that workers environments substantially influenced their propensity to become a toxic worker. So managing toxic workers is not simply a matter of screening them out, but also minding the work environment by adoption of a set of commonly established values. Managing by values is what Forbes finds that the top 100 Best Places to Work in America do best. Common Sense Counsel: any question as to what you should start planning to do with your toxic employees in 2016? If you are that toxic employee, commit to get over your "stinkin thinking" by daily showing, and voicing, gratitude for the job opportunity you are currently enjoying by rendering more and better service no matter the task. Tommy Eden is a partner working out of the Constangy, Brooks, Smith & Prophete, LLP offices in Opelika, AL and West Point, GA and a member of the ABA Section of Labor and Employment Law and serves on the Board of Directors for the East Alabama SHRM Chapter. He can be contacted at teden@constangy.com or 334-246-2901. Blog at www.alabamaatwork.com with link to Harvard Business Review article. The new overtime white-collar exemption rule will be issued July 2016, according to the U.S. Department of Labor’s fall 2015 regulatory agenda, which the Office of Management and Budget published just before Thanksgiving. The DOL’s proposed rule, issued on June 30, 2015 would raise the salary threshold for exemption from the current $23,660 to $50,440. 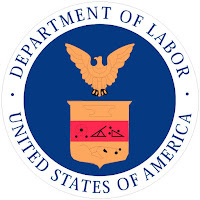 The Department proposes to update the regulations governing which executive, administrative, and professional employees (white collar workers) are entitled to the Fair Labor Standards Act’s minimum wage and overtime pay protections. 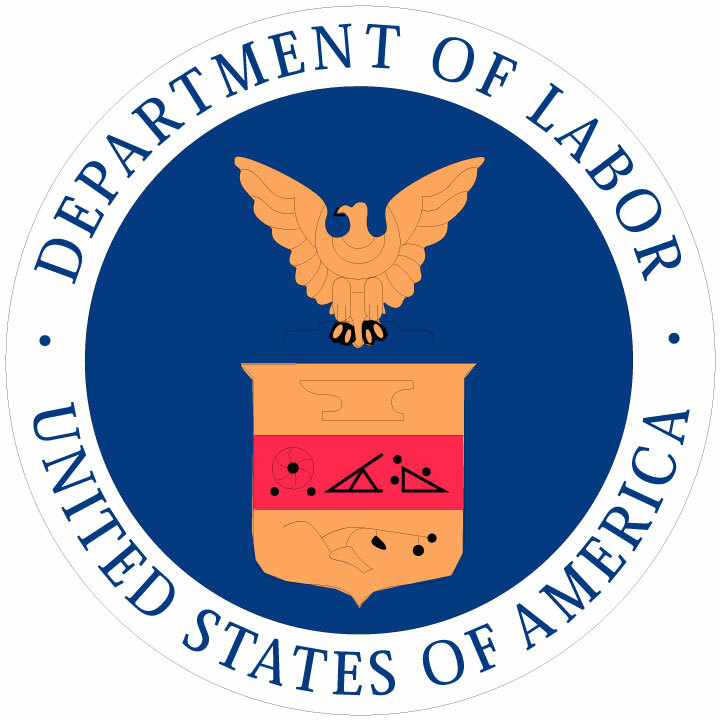 Key provisions of the proposed rule include: (1) setting the standard salary level required for exemption at the 40th percentile of weekly earnings for full-time salaried workers (projected to be $970 per week, or $50,440 annually, in 2016); (2) increasing the total annual compensation requirement needed to exempt highly compensated employees to the annualized value of the 90th percentile of weekly earnings of full-time salaried workers ($122,148 annually); and (3) establishing a mechanism for automatically updating the salary and compensation levels going forward to ensure that they will continue to provide a useful and effective test for exemption. The Department last updated these regulations in 2004, which, among other items, set the standard salary level at not less than $455 per week. Common Sense Counsel: This Proposed Regulation will be sticker shock for most manufacturing, retail, fast food and millions of small business employers. Follow these 7 steps for some relief and solutions: 1) take a deep breath and let it out slowly as a stress relief exercise; 2) take the Draft Exemption Trial Work Sheet Test and your current job description (better have one) for each of your current salaried exempt employees and see if they truly pass one of the five exempt employee test; 3) for those previous supervisors who are now newly christened hourly employees who do not pass the test, make them a team leader of some kind with an hourly wage rate; 4) for those hourly employees who will work 50 hours a week, consider a Fluctuating Work Week or Below written agreement to lower your overhead cost; 5) for those who do meet the exempt test, and you still want to keep them salaried, then you will have to give them a raise to 50,440 by the second quarter of 2016 and redraft their job description (in-fact you should redraft most of your job descriptions by the end of 2015); 6) update your pay reporting system and handbook to help you keep day-by-day control of excessive overtime costs; and most important 7) come up with creative ways to engage and incentivize your hourly employees to think like owners. Tommy Eden is a partner working out of the Constangy, Brooks, Smith & Prophete, LLP offices in Opelika, AL and West Point, GA and a member of the ABA Section of Labor and Employment Law and serves on the Board of Directors for the East Alabama SHRM Chapter. He can be contacted at teden@constangy.com or 334-246-2901. Blog at www.alabamaatwork.com with Links to worksheet and regulations on Blog. Many thanks to Ellen Kearns, partner at our office in Boston, for her help on this posting. You can send Tommy an email and request free access to his BOX account with various compliance resources on this topic.